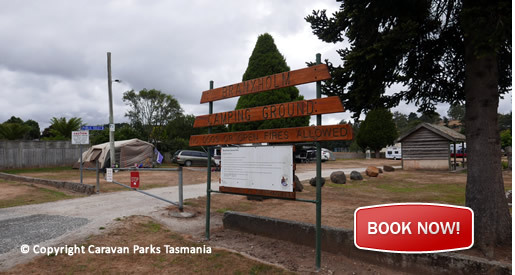 The Branxholm caravan park, North East Tasmania provides unpowered camping sites near Scottsdale in the North-east of Tasmania. 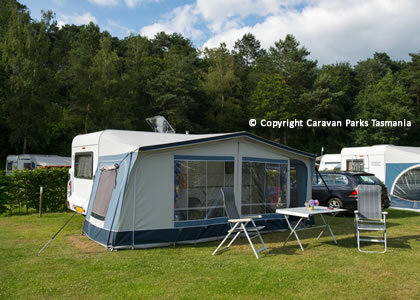 The sites are suitable for caravans, campervans, camper trailers and motorhomes. Branxholm is located a short drive from the major centre of Scottsdale. Relax by the swimming pool while children enjoy the playground. The camping ground has sites suitable for caravans and tents as well as showers (AUD $2 per use) and toilets in the amenities block. The barbecue area and tennis court are also available for use by guests. Branxholm is a small timber town located app. 95 kilometres northeast of Launceston. Driving time to the centre is app. one hour and 15 minutes. Please note that the rates are for up to four people per site, the maximum stay is four weeks and pets are not permitted. Enjoy the agriculture of Branxholm and surrounding fertile valleys. Visit the Bridestowe Estate Lavender Farm, the largest in the southern hemisphere. Drive into Scottsdale and visit the uniquely designed Forest EcoCentre which also houses the visitor centre. Spend an afternoon climbing Mount Stronach or pack a picnic to enjoy down by Pipers River. Bookings and keys available at Branxholm Supermarket, just across the road.